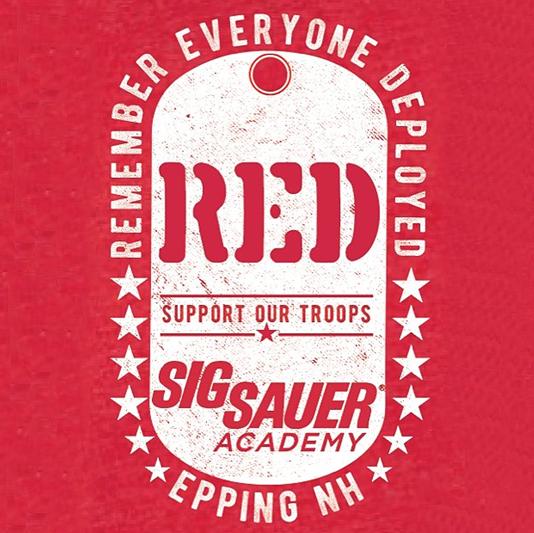 On the first Friday of the month the SIG SAUER Academy wears RED - R.E.D. stands for "Remember Everyone Deployed". Founded in 2005, R.E.D. Shirt Fridays began as a show of support for the servicemen and servicewomen overseas who put their lives on the line to protect our freedom. This is a cause that truly hits home for both SIG SAUER and SIG SAUER Academy as we employ a large number or veterans and active duty personnel. In honor of R.E.D. Shirt Fridays, on Friday September 7th SIG SAUER Academy will offer free class ammunition to anyone who registers for a future carbine/rifle course. This offer is only valid on Friday September 7th and excludes Precision Rifle courses. For any questions please reach out on our social media outlets or contact the training office at (603) 610-3411. Request more product info from SIG SAUER Academy. Want to know more about SIG SAUER Academy?